There will be a protest this Tuesday in Brooklyn before a preseason basketball game. It is difficult to comprehend, given his conciliatory approach, that NBA Commissioner Adam Silver did not see this coming. The NBA is not involved in any private reception arranged by Maccabi Tel-Aviv at Barclays. Regarding Maccabi Haifa, our NBA teams want to get prepared for the season by playing against strong international competition. Maccabi Haifa, which beat Maccabi Tel Aviv to win the 2012-13 Israel League championship and featured future Dallas Mavericks player Gal Mekel on its roster, is one of the European teams that our teams have played against in preseason games. For more than a decade, the NBA has supported Seeds for Peace and each year our NBA and WNBA players attend the program’s annual summer camp that brings together Palestinian and Israeli kids to foster cultural understanding. As it relates to preseason games against international teams, our NBA teams want to get prepared for the season by playing against elite international competition and traditionally have played preseason games against Euroleague teams, such as CSKA Moscow, FC Barcelona and six-time—and reigning—Euroleague Champion Maccabi Tel Aviv. I attended the Seeds Of Peace camp that the NBA has supported for years and it’s a great program that brings together Palestinian and Israeli kids in an effort to nurture future generations into peace. However, this one-sided support from the NBA with this situation sends a very different message… this appears to be an attempt to further strengthen relations with a government we should be applying pressure on. It sends the wrong message especially coming off the heels of the slaughter of more than 2,000 Palestinians last month. Friends of IDF, at their VIP celebration at the Barclays Center prior to the game, will ‘honor’ twelve wounded soldiers from the recent Gaza conflict. Are they also going to honor the hundreds of innocent Palestinian civilians most women and children who were massacred? I’m already of the belief that staying neutral in a conflict between the oppressed and the oppressor, means you’ve chosen the side of the oppressor and this isn’t even neutral. Having a Friends of the IDF Fundraiser at Barclay’s is not only irresponsible. It should not be unacceptable. I do not think the NBA wanted to start the season with preseason protests. It signals, to give my own spin on Wahad’s comments, the disconnect between how our leaders in the corporate and political worlds view Israel, and the ways in which regular people are starting to look at the actions of Benjamin Netanyahu’s state with a far more critical eye. 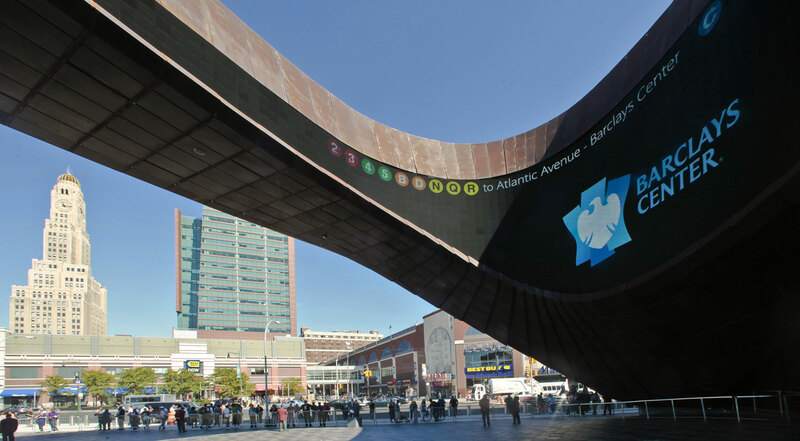 I am going to be covering the protest in front of Barclays this Tuesday and will report on what takes place.